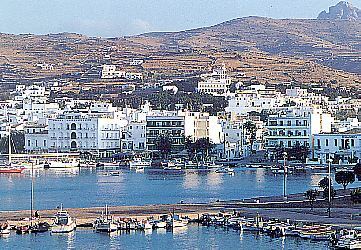 Tinos is the capital and port of the island and is situated on its southern side. 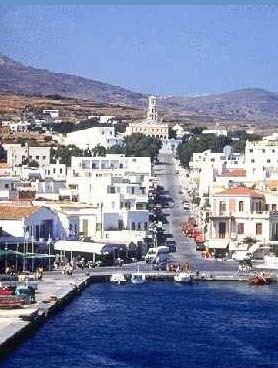 When Venetians left the island in 1715, the city, which by that time was called port, or Agios Nikolaos's town, because of the church of the same name, began to flourish. Nowadays, it shows a great touristic growth and, along the coastal road, which embraces the harbour, is a series of small tavernas, restaurants and "kafeneia" (coffee-shops) that attract crowds of locals as well as tourists. 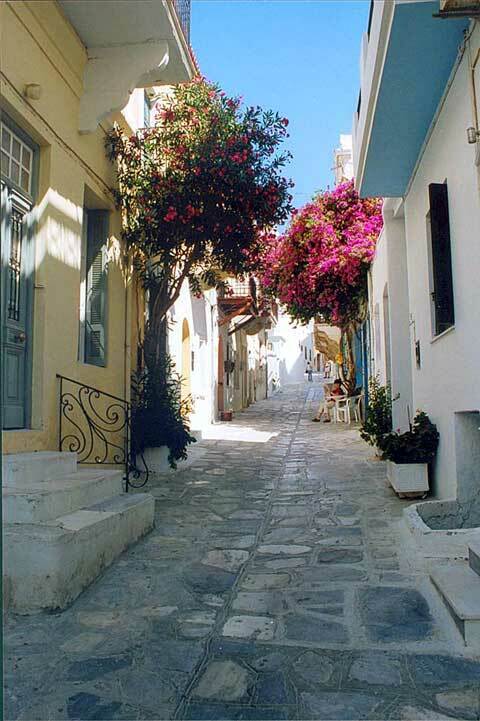 On the beautiful stone houses of the city, all the features of traditional Cycladic architecture are obvious, while among them are small, picturesque chapels, such as Koimesis tis Theotokou (Assumption), Trion Taxiarchon, Agios Ioannis and Agios Antonios. But what really impresses one most in Tinos town is the imposing church of Evangelistria, the most important religious centre all over Greece, which is at the top of a wide street starting from the port. Near the church of Evangelistria is the Museum of Tinian Artists, the Art Gallery (Pinakotheke) of Modern Greek Painters and the Archaeological Museum of Tinos where archaeological finds from the island are on display. 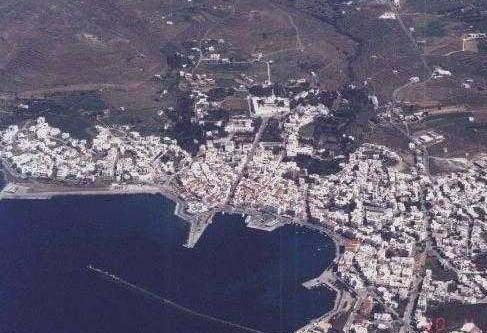 What is worth visiting on Tinos is the Monastery of Agia Triada (Holy Trinity) (11th c.), which is built on a richly vegetated area, a slight distance from Hora.